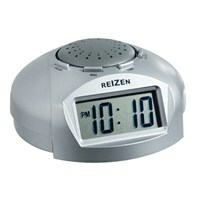 Digital talking alarm clock tells you the time, date and temperature in English. 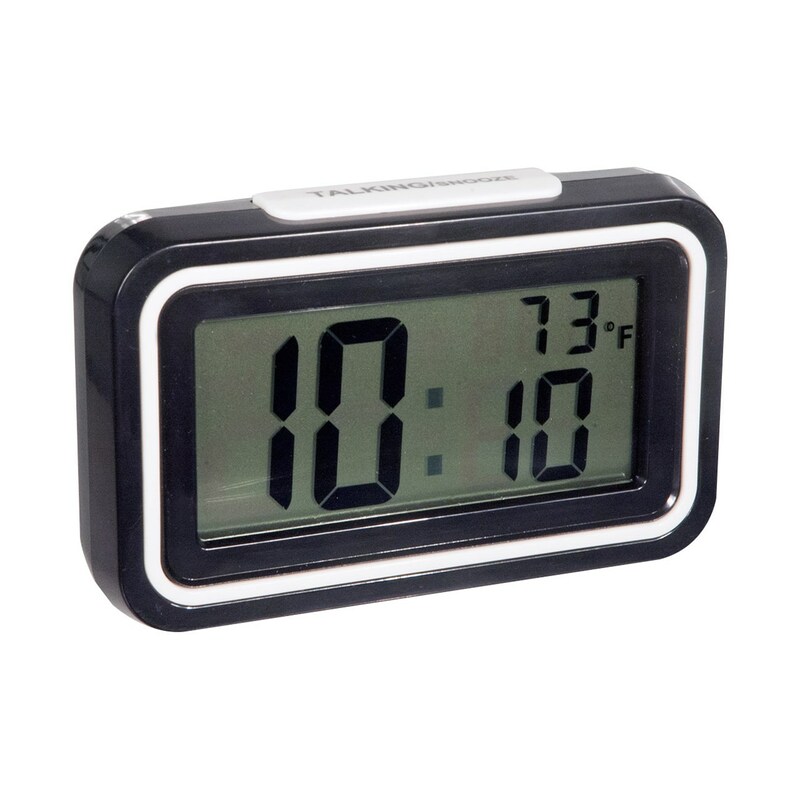 Backlight, LCD display. Uses two AA batteries not included.